View the entire Workshop Online with Slide Share for uploading power point presentations! To register Call the arts council at 905-874-2919 or e-mail Teresa Alves at: Teresa@artsbrampton.ca before 4pm on Thursday Nov. 10! It's free to anyone living or working in Brampton. I am so excited. I LOVE talking Etsy. 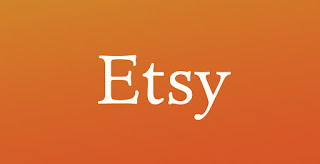 Check out my Etsy Shop to see what you will learn how to create for yourself. Creating an online store is made so simple with many advanced features of ecommerce solutions.